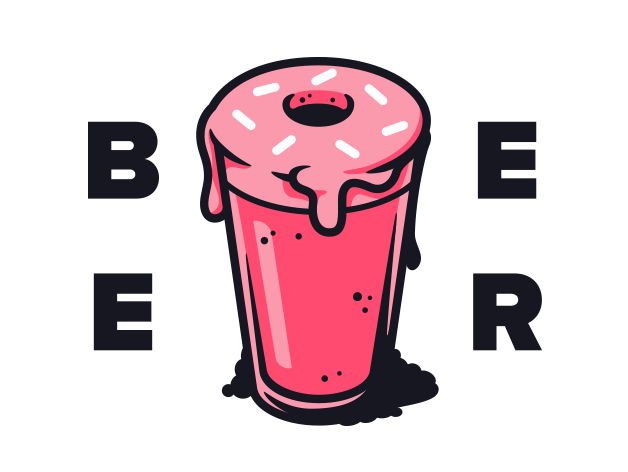 Small batch, craft beer based donuts made in the heart of Cleveland. 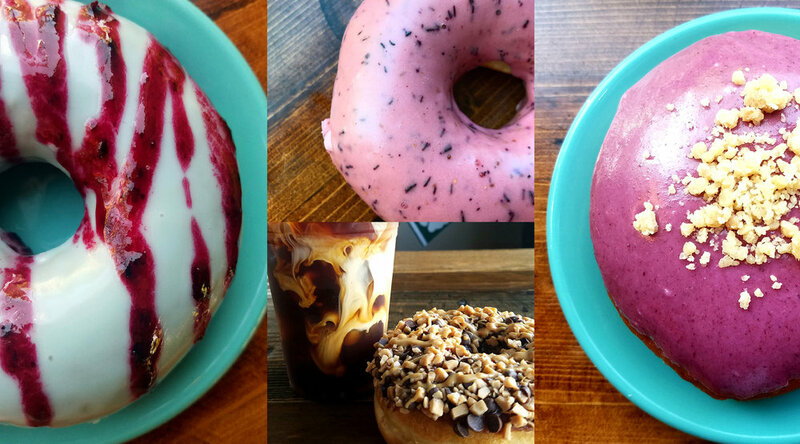 At Brewnuts we combine the hospitality of the corner donut shop with the comfort of your favorite watering hole. We encourage you to belly up to the bar and stay awhile. 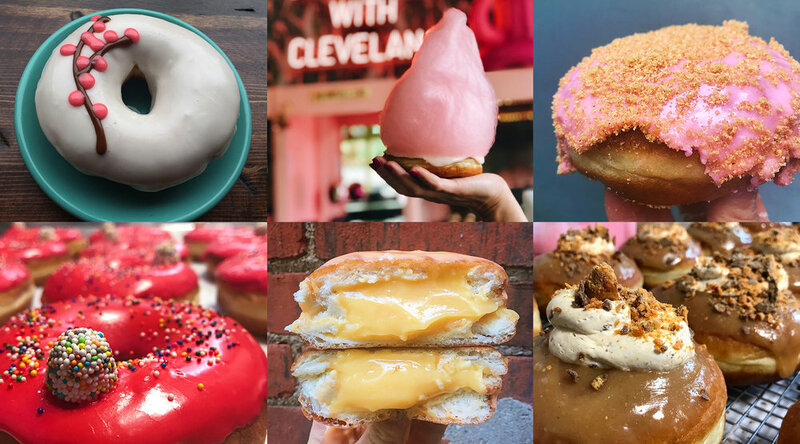 Brewnuts is the lovechild of two Clevelanders - Shelley & John Pippin - who gave up their jobs working for "The Man" to pursue their three favorite things: donuts, beer and Cleveland. Long story short, one night Shelley bolted up in bed and asked John what he thought about the idea of making craft beer based donuts. After a long pause he said "I like that." The next day we went out and bought a countertop fryer and got busy hatching our plan to make Cleveland's most unique and delicious donuts. 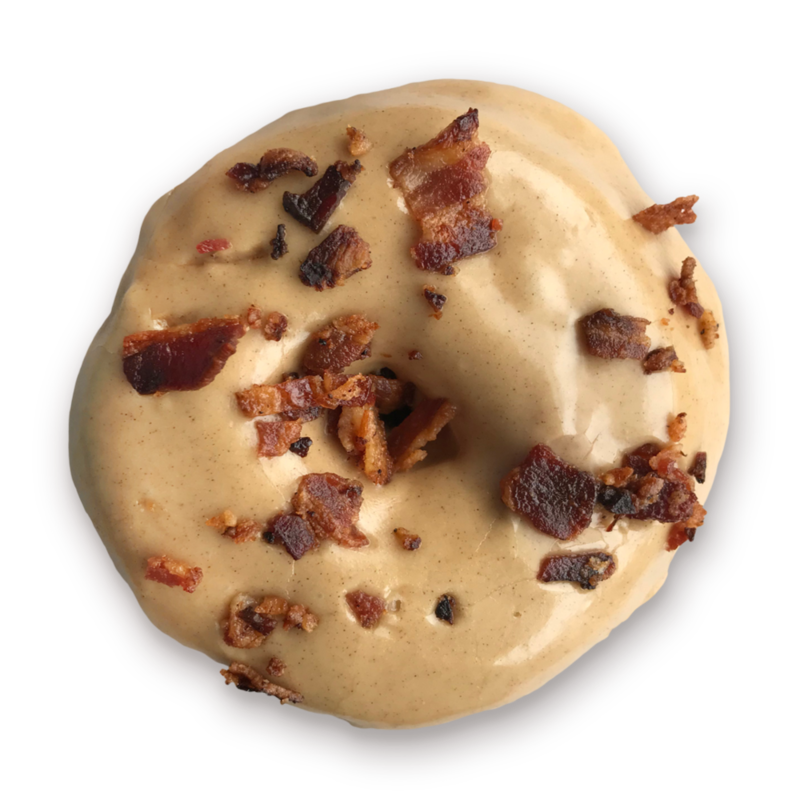 Our donuts are made by hand without any premade mixes or shortcuts, and if you haven’t heard yet, we make them with a pretty fantastic secret ingredient… the tastiest and most innovative craft brews we can find! 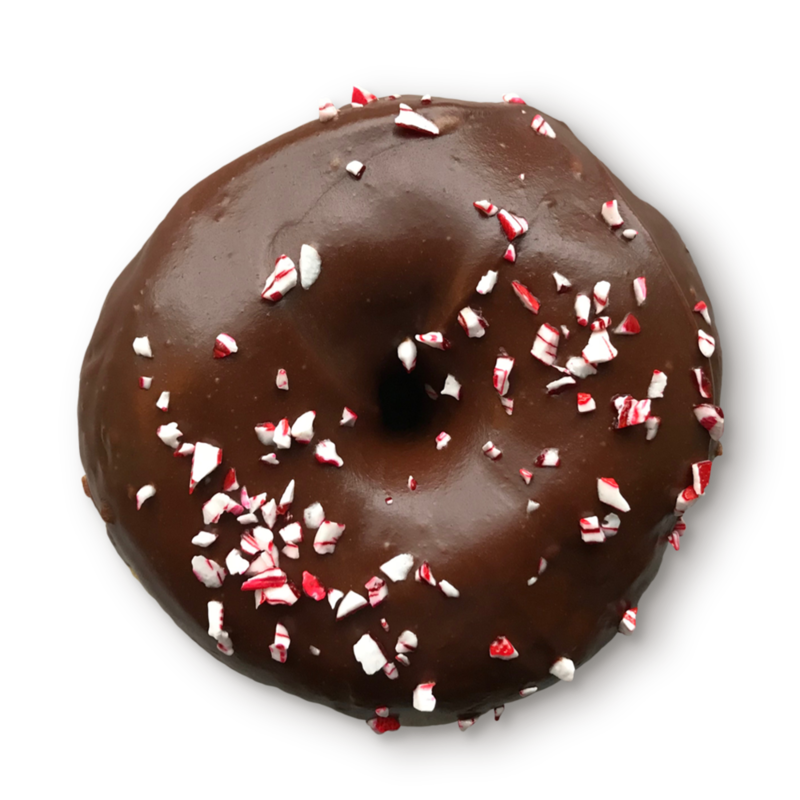 Not only is beer an incredible ingredient to bake with that lends unique and delicious properties to our donuts, it’s an unbelievable – albeit unconventional – counterpoint to the sweetness and richness of a well-made donut. Our menu is seasonal and rotates often to reflect what’s on tap, both with Mother Nature and our local breweries, but we do have some year-round best sellers that you can expect to find in the bar on a regular basis. These are our House Donuts. Other staple styles of donuts you will regularly see in the bar include a variety of filled donuts and old fashioned frycakes. Our seasonal donuts change bi-weekly, sometimes sooner if inspiration strikes or due to limitations of local produce. Stay tuned to our social media to see the latest and greatest in seasonal happenings or stop in to see what we’ve got on hand. The most popular custom donuts we make are mini donuts, but we are always happy to discuss other ideas with you. We can only take on a set number of custom orders each day. In order to guarantee we have the time and team to complete your order, we recommend at least a week’s notice and we require pre-payment. In the event you cannot give advance notice, feel free to try us. If we have room to accommodate your order we will. Our letter donuts have been recognized far and wide as the best way to deliver any kind of news… good news? Definitely made better via donuts. Bad news? Way easier to swallow when spelled out in donuts. We can spell out just about anything, and we do mean anything. Our letter donuts are made out of our standard yeast raised dough and we offer a variety of standard and seasonal flavors. 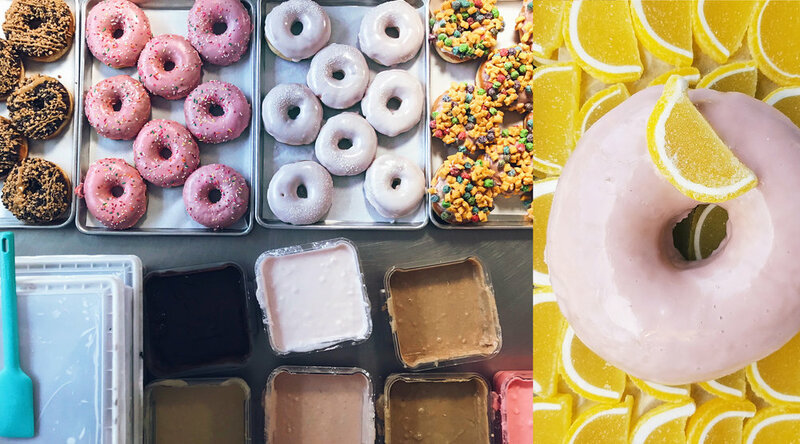 From thousands of mini donuts arranged in a delicious display, to jaw dropping donut walls to donut favor boxes, we’ve done it all. We cater hundreds of events a year, ranging from large corporate functions, to intimate weddings, to art and music festivals. Being a small part of your big day is one of our greatest pleasures. 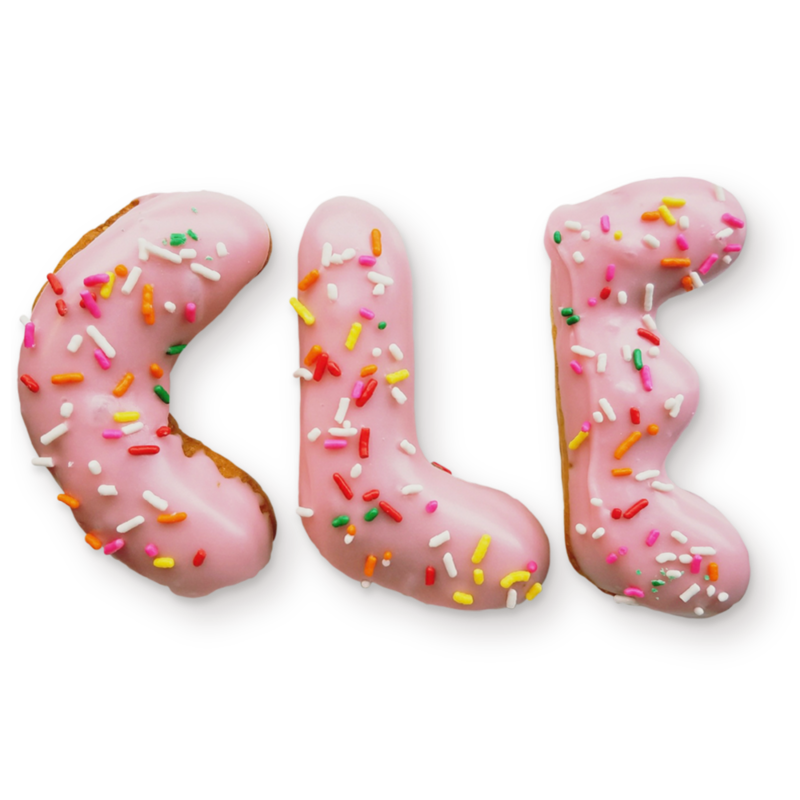 Shoot us a line at brewnutscle@gmail.com if you’re interested in having donuts at your next event or celebration. When Brewnuts was just a mere sprinkle, we were lucky enough to have great local partners carry our donuts and share them with their customers. One of those partners, Phoenix Coffee, has been setting the bar in Cleveland coffee for over 25 years. Phoenix travels the world in search of the best coffee from farmers with experience, skill and ethical practices. Roasted to order in small batches right here in downtown Cleveland, Phoenix has helped us develop an outstanding coffee program to ensure you have the best quality cup of ‘jo to accompany our style of donuts. We offer everything from drip coffee, to espresso based drinks and seasonal offerings like hot cocoa, toddy and other iced drinks. 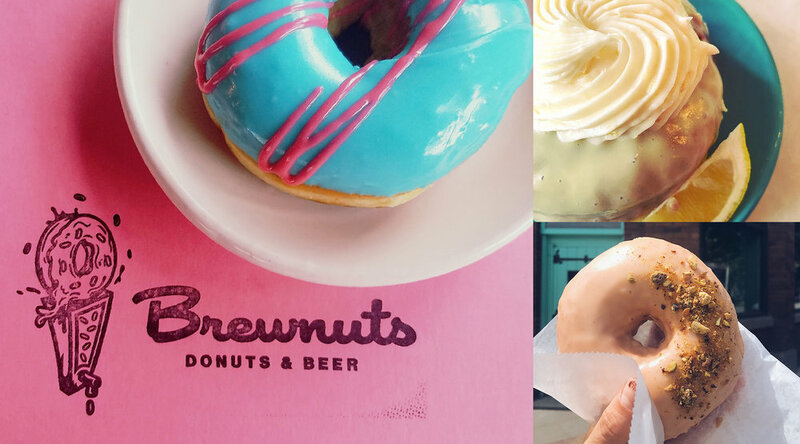 When we conceived of Brewnuts it was always with donuts and beer having a seat at the table. We’ve known from the jump that we were setting out to be a Donut Bar unlike any other donut shop we’d ever seen. Thanks in large part to our collaborative relationship with Cleveland’s brewery scene, we regularly carry sixteen carefully selected local brews on tap which is complimented by a robust bottle and can program. We feature the beers we bake with and a whole lot more. And don’t worry… for the non-craft beer drinkers in the group, we’ve got you covered with some other options, too. Currently we do not offer delivery. For large catering orders (e.g., weddings, corporate events, etc.) we offer delivery based on our availability. Yep and we sell them in any denomination you like. Nope. We do not use any shelf stabilizers or preservatives to extend our donuts’ natural shelf life, so they are best eaten as fresh as possible. We sure do. Contact us brewnutscle@gmail.com to get the ball rolling about how we might work together for your event. 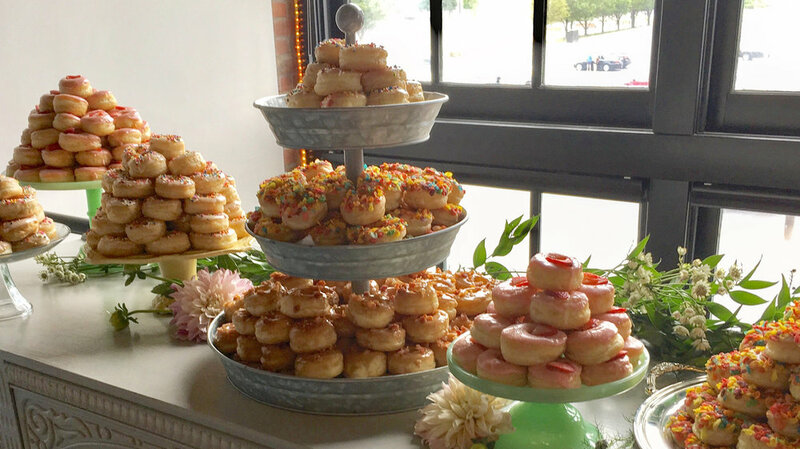 Do you provide donut displays for weddings? All the time! So often that we created this handy dandy packet that provides a ton of information as to how we can work with you to make sure you have the wedding day donuts of your dreams. We consider a custom order any specialty donuts that we don’t carry on a regular basis in the bar. This includes our mini donuts, letter donuts, and glitter donuts. 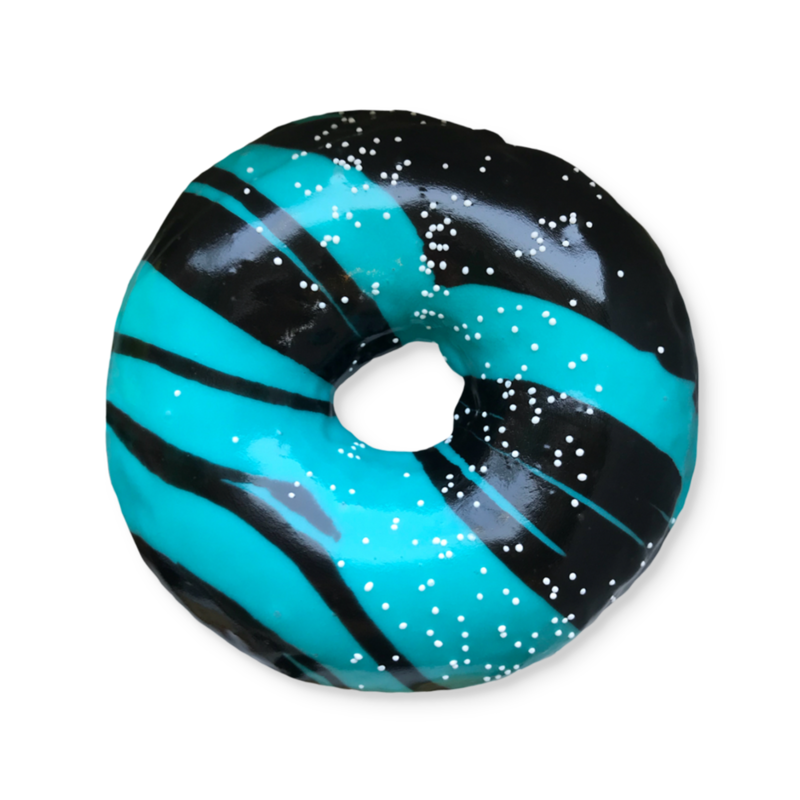 Please refer to the custom donuts section for more info. Of note, we do not make donuts with piping of messages, flowers, emojis or anything of the like. While we consider ourselves donut artists, we drink a lot of coffee and our hands are way too shaky for that business. We do not make giant (or cake sized) donuts as we do not find the quality of the donuts meet our standards when supersized. Do you have a full menu of all your donut flavors? 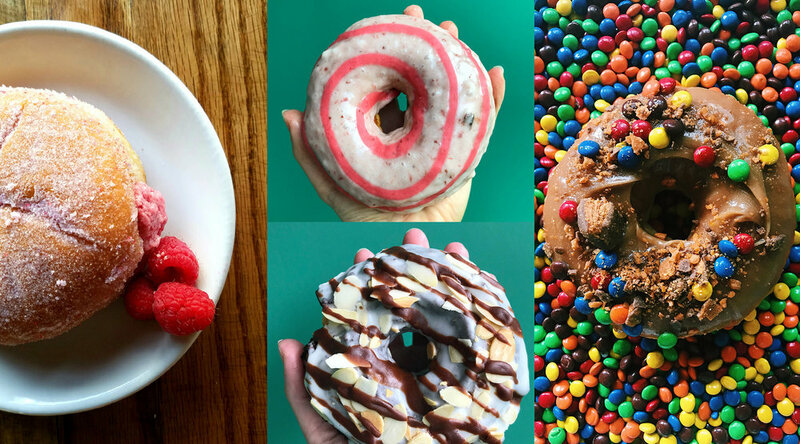 Since we started Brewnuts in 2013 we’ve made over 200 flavors of donuts! Rather than overwhelm our guests with a laundry list of flavors, we offer approximately 4 – 6 year-round, best-selling flavors. In addition to these, we rotate a seasonal menu of approximately 6 – 8 flavors that change monthly if not sooner. Stay tuned to our social media for additional surprise flavors that pop up when inspiration strikes. How should I store my donuts and how long will they stay fresh? Here’s the thing about donuts… they’re best eaten fresh out the fryer. We don’t sell day old donuts and we don’t recommend hanging on to them for more than a few hours for optimal freshness. In the event you can’t eat your donuts right away it’s best to keep them stored in the box / bag they came in and keep them at room temperature. Cream filled donuts should be kept in the fridge. We do make vegan donuts! Pop in to the bar for the most up to date offerings. Are your donuts gluten free? Nope. We make beer-based donuts as nature intended them to be, gluten-y. Can you make donuts for an allergy sensitive audience? We are happy to omit specific toppings / donut styles based on your request, but our kitchen is not certified organic, kosher or nut free. We handle a variety of toppings and ingredients in our kitchen and advise guests with allergies to any of these ingredients to order / consume at their own risk. Are Brewnuts safe for kids and pregnant women to eat? Yes. We cook all alcohol to 173 degrees Fahrenheit to burn the alcohol off. On the occasion we make a donut with alcohol that is not reduced or burned off, we indicate this clearly and prominently on our menu.